Carissa Alkippes is the daughter of a god but she doesn’t know it. As a cop she’s seen her fair share of bad but nothing prepared her for the horror of the world she has been plunged into. Xen Lyson is the head of the Phi Athanatoi, a group of immortals who have been protecting man for over 2,000 years from the Kakodiamones–demons who want nothing more than to feast on humanity. Thrown face to face with Xen during a skirmish with the demons, Carissa becomes a pawn in the deadly game of a demi-god who seeks godly powers. Carissa works for the police and one day she finds herself in a warehouse at the wrong time and her partner and her are attacked by demons. Xen is a vampire that has spent his years protecting humans from a distance. But when he sees Carissa he realizes that she is his mate. Although he tries to take Carissa’s memories of the warehouse, she still remembers bits and pieces. Then she learns that she is a demi-god. Carissa needs to learn how to use her abilities since a rouge vampire wants to sacrifice her to become a god. This book is heavy on Greek everything, especially words. Just so you know, there is a glossary at the end. Carissa is a strong and independent person but she can make huge mistakes that risk her life. I did like Xen, he is not the typical brooding, possessive male lead that you get in most paranormal stories. This is a good, paranormal romance with Greek gods and the usual paranormal characters. The world building was wonderful and drew me in. 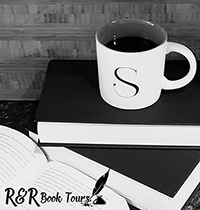 There is a cliffhanger ending that will leave you wanting the next book. To purchase Phantasma make sure to visit Amazon, Barnes and Noble, Goodreads, and Efthalia’s website. 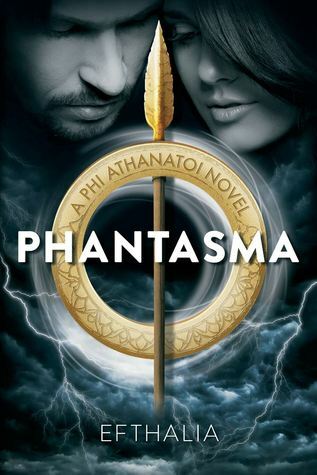 I received Phantasma for free from Sage’s Blog Tours in exchange for an honest review.